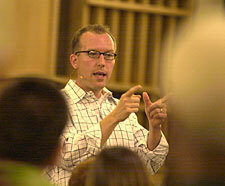 All three of the aforementioned heretics profess to follow Big Tent Christianity (BTC), which is a new postmodern form of progressive liberalism—a Liberalism 2.0—sometimes referred to as Emergence Christianity; this is what McLaren began laying out in his latest book A New Kind of Christianity (ANKoC). 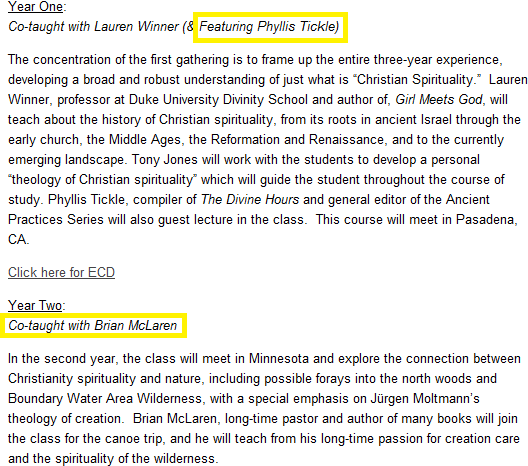 I’ve already told you that Fuller Seminary Is Promoting Emerging Church Heretic Doug Pagitt and Heretical Emerging Church Progressive/Liberal Theologian Tony Jones Joins The Staff Of Fuller Seminary where Richard Mouw is president. The gates of the evangelicalism have apparently swung even wider now for this postmodern liberalism.